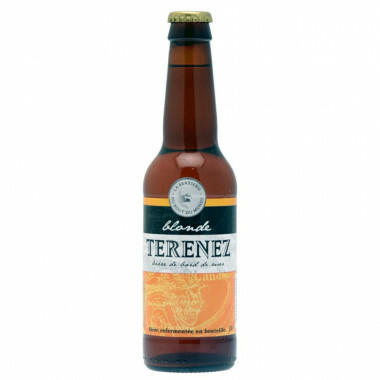 Between grain and hop: the blonde Terenez beer is well-balanced with a subtle taste of malted barley and hops. Between grain and hop: the blonde Terenez beer is a round beer, quite refreshing and lightly hopped. 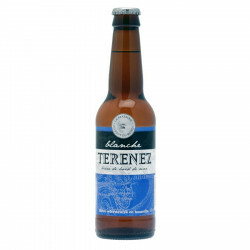 Pair your beer with Corsican savory, Bayonne ham or Auvergnat saucisson (dry sausage). 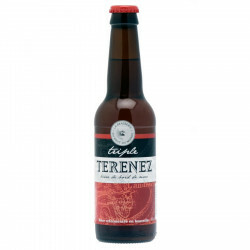 Recommended serving temperature: 3 to 4°. Ingredients: water, barley malts, Aramis and Saatz hops, yeasts.